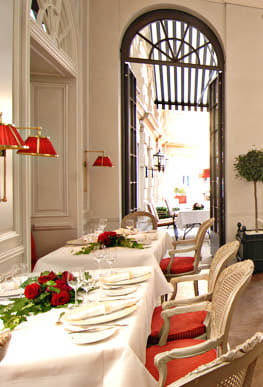 Exclusive restaurant in Frankfurt’s Grand Hotel, offering a taste of la belle France. Award-winning chef Patrick Bittner and his experienced sommeliers and service team will ensure your visit is a first-class experience. The Levi’s label on the outside hints at what’s inside: this hotel near Frankfurt Central Station blends denim and design to create a hip and happening atmosphere. The rooms — size M, L and XL — all bear the unmistakable influence of this icon of American pop culture. 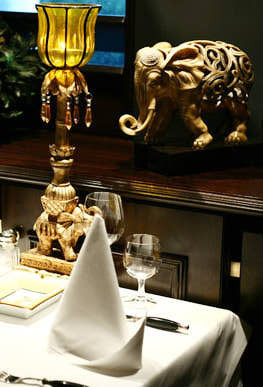 The Ivory Club is perfect for lovers of big game and those who enjoy a hearty, braised lamb joint with Indian spices or hot tandoori chicken. 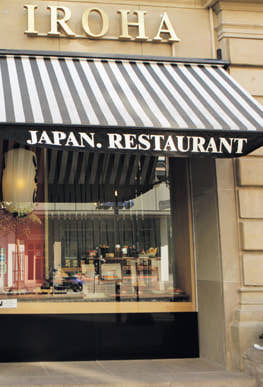 This casual but elegant eatery offers rich culinary delights in an informal atmosphere. 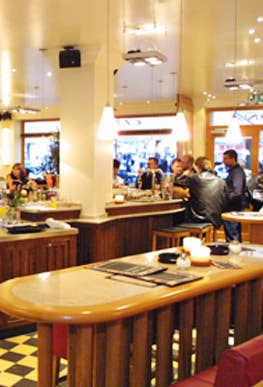 The long bar is the centrepiece of this lively restaurant. From here, guests wander from table to table, meeting friends and making new contacts. 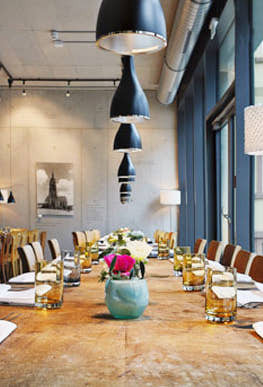 Directly next to the Museum für Angewandte Kunst and designed by Richard Meier, Emma Metzler provides the ideal backdrop for an exclusive business lunch. Sit back and enjoy chef Uwe Weber’s outstanding culinary creations. 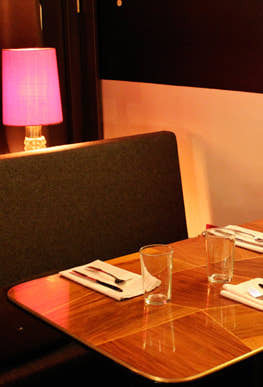 Located in a 1950s pavilion, this retro restaurant boasts a fantastic wine list and reliably good food. Plus you can watch the chef preparing your meal. The pavilion has been skilfully renovated: thanks to the extensive use of black, the glass fa.ade, concrete ceiling and fabulous wooden furniture, this restaurant is oozing with atmosphere. A friendly maitre classic international entr.es and an array of mouthwatering specialities, including an excellent selection of fish. Chef Johannes Ballman caters to the needs of discerning guests. Holbein’s restaurant is in the St.del museum. It is a well-known fact that traditional monastery food is delicious. 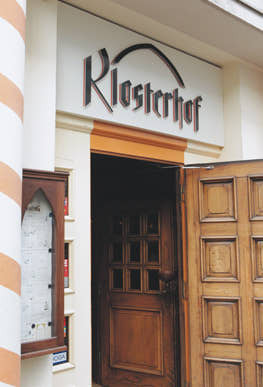 And at Klosterhof you can enjoy this tasty cuisine right in the middle of the city. All the meat served at the restaurant comes from a local family butcher and is sourced from organic farms in Germany. Great idea, great food! 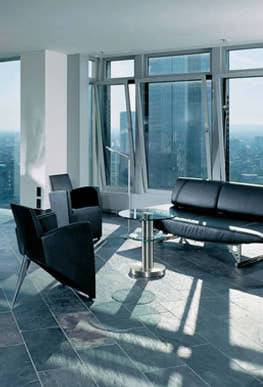 Located near Willy-Brandt- Platz, Living XXL is in the heart of Frankfurt: on the ground floor of Eurotower, home to the ECB. With its huge glass dome, this is one of the largest eateries and bars in Europe, serving a sumptuous fusion of dishes from Paris, London and New York. Michelin star holder Mario Lohninger draws inspiration from his homeland Austria – adding a modern twist to traditional cuisine and living up to the highest culinary standards. Dine . la carte or select the exclusive sevencourse chef’s menu. This restaurant located just a few metres from the river Main offers spectacular waterfront views. In a prime position in one of Frankfurt’s most beautiful parks, Nizza serves up a range of delicious dishes. 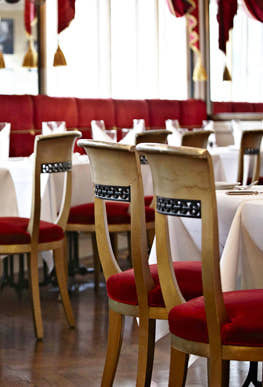 In one of Frankfurt’s most historic buildings, the Alte Oper (Old Opera House), Gerd K.fer and Roland Kuffler run one of Germany’s most beautiful restaurants, Opera. 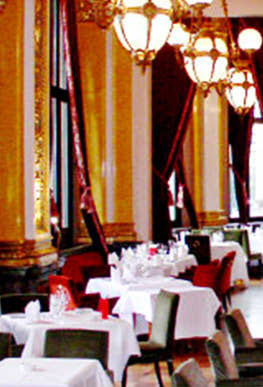 The Alte Oper’s grand foyer retains the splendour of a bygone era, offering a marvellous backdrop for a special dinner. Weather permitting, a seat outdoors on the terrace, with a wonderful view of Opernplatz, is equally charming. 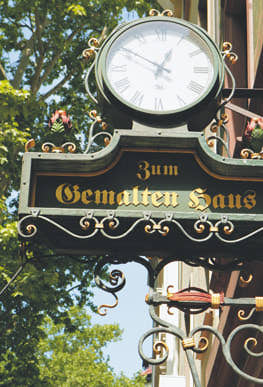 This traditional pub is the Frankfurt equivalent of Munich’s famous Hofbr.uhaus. Enjoy tradional apple wine and exceptional quality local cuisine at unbeatable value. In summer, a floating piece of paradise awaits guests on the Sachsenhausen side of the river Main by the Old Bridge (Alte Brücke): a restaurant boat with top DJs and a variety of dance, exhibition and performance nights. 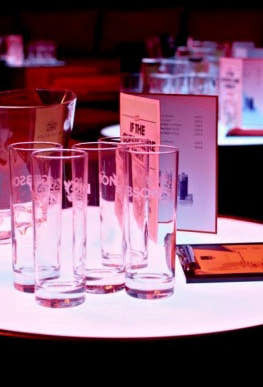 Plus there are tasty light meals and a selection of refreshing drinks. 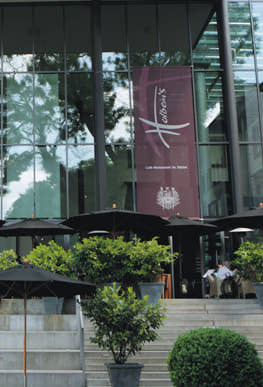 Nestled between skyscrapers and shopping centres, Caf. Karin is a favourite with the locals. The welcoming interior appeals to laid-back guests – and the delicious breakfasts are served until 6pm. 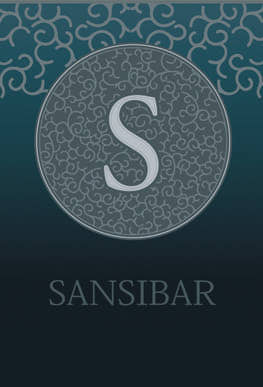 Launched in 2003 as a pre-party lounge, Sansibar has become something of a Frankfurt nightlife institution. Year after year, it sets the inner city pulsing. When the lights go out in the surrounding offices, Sansibar comes to life. 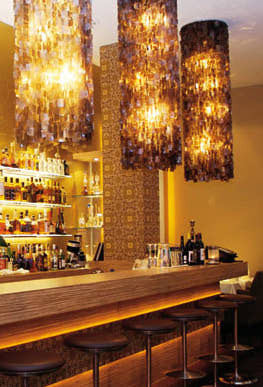 This hot spot, with its Zen-garden-meets- Neo-Rococo decor, is a favourite hangout of the rich and famous. 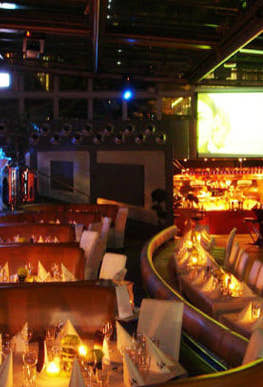 The Panorama Bar in the Schauspielhaus (theatre) is open before and after all performances at the theatre. 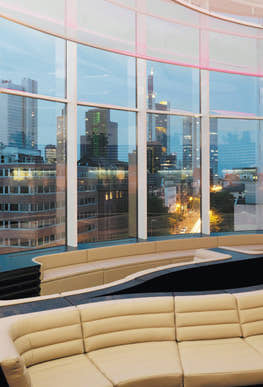 Here, culture-lovers can enjoy music, nibbles and drinks, set against Frankfurt’s stunning skyline. If you want to take a trip back in time, this is the place to go – thanks to the 1940s paintings and a nattily attired barkeeper. And the cocktails themselves are prepared in a civilised manner too, not just rudely stirred and shaken. An unmissable experience: step into the glazed elevator and travel up the fa.ade of Eurotheum. Watch the city get further and further away as your soar above the rooftops. The view will take your breath away. So a single malt or refreshing cocktail is just the ticket when you reach the top. 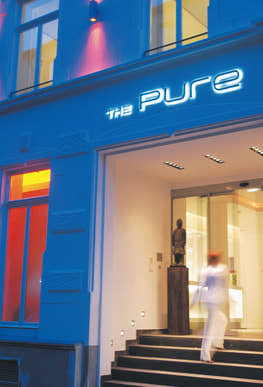 This design hotel is simultaneously cosmopolitan and intimate, just like the city of Frankfurt itself. Housed in a completely refurbished turn-of-thecentury factory building in the city centre, The Pure radiates simplicity, clarity, and transparency. Its “open space“ concept is underscored by the extensive use of light-coloured materials. Guests love the high ceilings, specially-made pleated lampshades that seem to grow from the ceilings, and partially glass-fronted bathrooms. Roomers is a luxury 5-star design hotel located in a former office block. Designed by Nik Schweiger (brother of the well-known German actor Til), the hotel is furnished in an opulent, Baroque style, dominated by black and dark tones. 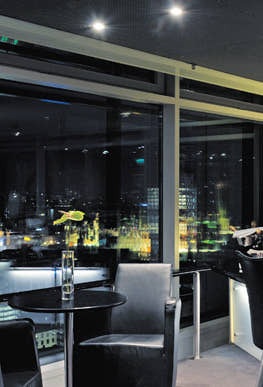 With views over the Frankfurt’s rooftops, it has eleven luxury suites, plus an enormous spa area. To experience this extravaganza without staying overnight, you can have a drink at the bar, or reserve a table at the exclusive restaurant. The Seven Swans club is tucked away in a small, glass-fronted building by the river Main. Membership is on an invitation-only basis. Every Saturday, the club welcomes members to dine on the third floor, to partake in a feast prepared by Simon Horn (the chef at Blumen). 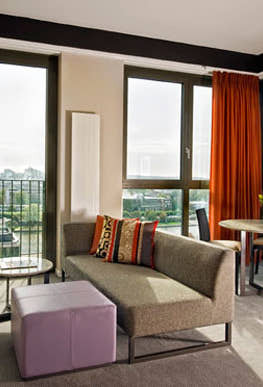 But these stylishly kitted out rooms are primarily intended for rental. In fact, there’s a room for every purpose – and they are even available to non-members. 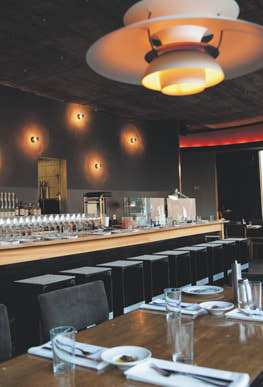 With its city centre location, this newcomer has gone from inside tip to a staple of Frankfurt’s nightlife scene. Owner Rusbeh Toussi has converted the former Olympia cinema’s labyrinthine rooms into a lifestyle club spanning several floors – with grandiose architecture, two bars, extravagant party nights and live music. In the midst of Frankfurt’s financial district, the King Kameha Suite occupies a grand mansion formerly owned by insurance giant Allianz. It’s a smooth blend of cosmopolitan cocktail bar and fine-dining establishment, with a dash of glamour. The ideal meeting place for business or socialising, this is where life is Suite. 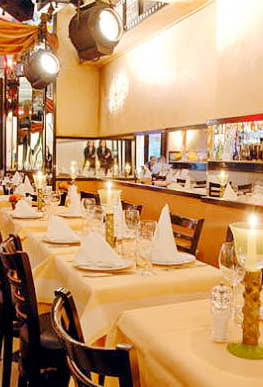 Located directly on Frankfurt’s famous Fressgass, this Italian restaurant offers a slice of dolce vita. 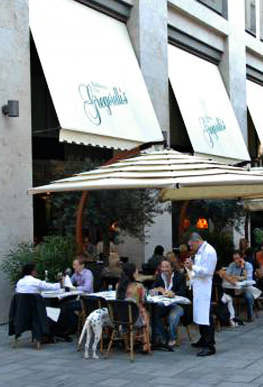 Gregorelli’s is a feast for the senses: the dazzling array of Italian specialties and wines are sure to tantalise your taste buds, while the modern take on Mediterranean design is easy on the eye. Euro Deli sits at the foot of Eurotheum, a prize-winning office high-rise and a vision of concrete, glass and steel. 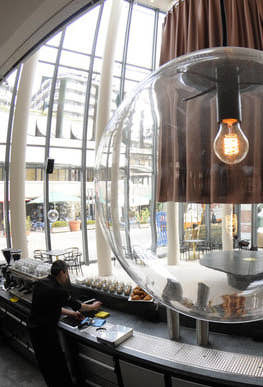 This trend-setting cocktail and coffee bar clearly takes a leaf from its futuristic surroundings. Frankfurt’s bankers gather here for after-work parties that are almost legendary in their own right. The views from 187 metres above the ground are breath-taking. But the food evokes an equally rapturous response. 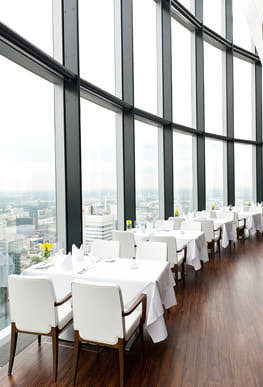 This unique combination is the hallmark of the Main Tower restaurant, where guests can take a seat at one of Germany’s top tables. Not surprisingly, the restaurant is a firm favourite with discerning connoisseurs (with high standards) — and the panoramic vistas of the city add extra spice to the gourmet creations on the menu. Incantina is on a mouthwatering mission: to make the wine and other delicacies of Italy’s Emilia-Romagna region better known outside bella Italia. You can make the acquaintance of these tasty regional treats at the Incantina bar itself or in the comfort of your own home: all food and drink can be ordered to take away. This oriental oasis of calm offers a welcome respite from the hectic pace of the city. Diners can admire Tandoori Taj Taj’s subcontinental yet subdued decor while devouring a feast of North Indian specialties prepared the traditional way. 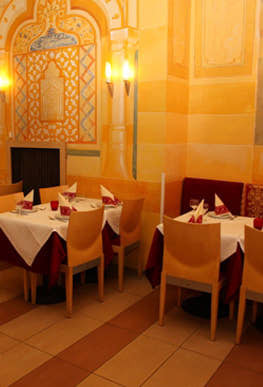 The debonair 1950s charm of Riz is surpassed only by its excellent selection of German and Austrian wines, which provide the perfect accompaniment to the restaurant’s exquisite dishes. Come here for a civilised dining experience that allows you to forget the hustle and bustle of the big city. And the exceptionally friendly staff lend a warm note of humour to the proceedings. Margarete is not named after the proprietress, or her pet dog. Instead, the moniker is a homage to the Viennese architect Margarete Schütte-Lihotzky. 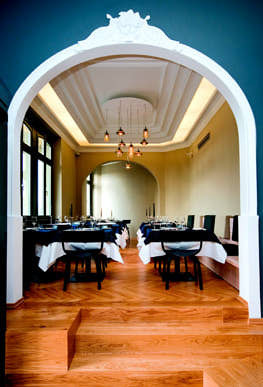 She invented the Frankfurt Kitchen, the first separate, in-built kitchen, in an era when many workers’ families had to make do with a corner of the living room The restaurant Margarete wittily subverts this concept, bringing the kitchen into the guest area and making it into a central showpiece. This new take on the Frankfurt Kitchen is evidently a hit with the city’s residents — thanks to the deft mix of classics and nouvelle cuisine and the stylish yet cosy atmosphere. 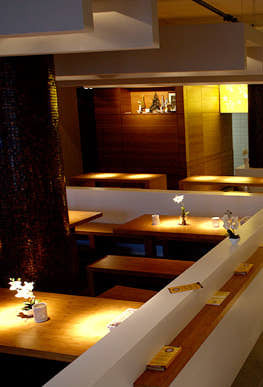 Nuy’s cult Thai eatery is a tiny patch of Thailand in the midst of Frankfurt’s financial district. Up to 15 people can squeeze into Pattaya to savour authentic Thai food, or watch as Nuy dishes up the next order: sure to come fast and, if requested, laced with chilli. To discover the warmth of Lebanese hospitality, you don’t need to fly to Beirut — just drop into L’Emir in the heart of Frankfurt. 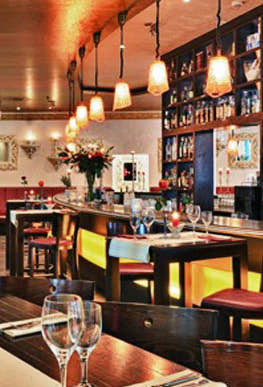 This restaurant offers a fabulous Middle Eastern experience, and a chance to sample the country’s cuisine at its best. 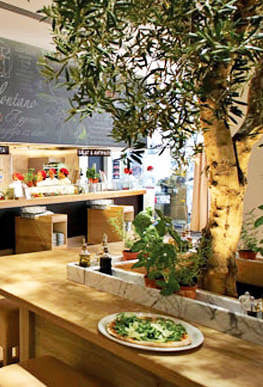 Good, healthy food, prepared with TLC and no fuss: that’s the promise made by Urban Kitchen on Kaiserstrasse. 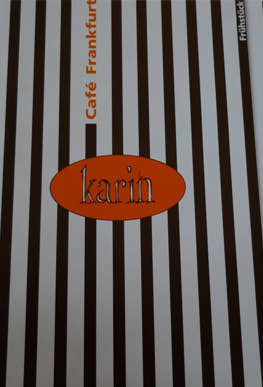 Catering for worldly wise city dwellers, its menu is not limited to one national cuisine, but combines them all. So you can mix and match to suit your tastes. An outpost of India in Sachsenhausen, Taj Mahal serves up seasonal, healthy dishes based on traditional tandoori and Moghul cooking. These oriental delights owe their heady aromas to a bouquet of exotic spices from India and Pakistan. 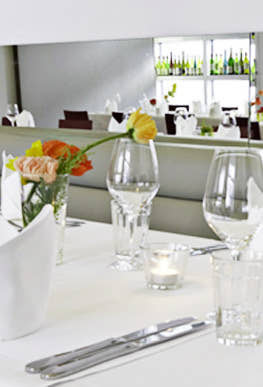 The largest Vapiano restaurant in Germany is located on Goetheplatz, in the heart of the city. 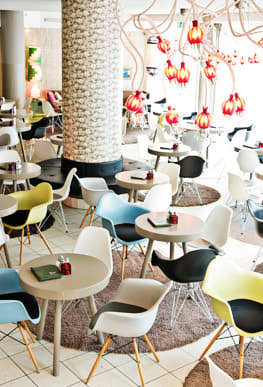 Up to 320 guests can enjoy fresh pasta, tasty pizza or crisp salads in a contemporary setting with Italian flair. After polishing off their pizzas, diners might be tempted to join one of the many after-work parties held here and hit the in-house dance floor. 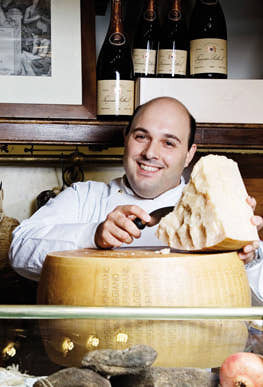 At first mention, the notion of a gourmet Italian-French restaurant might raise a few eyebrows — but after the first bite, any remaining scepticism yields to sheer delight. 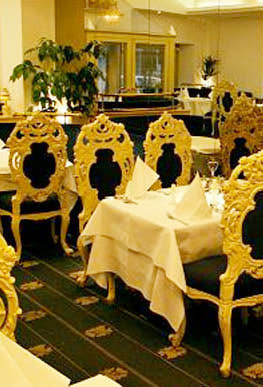 Die Leiter is well-established on Frankfurt’s restaurant scene, combining the city’s high life with five-star cuisine. Your first visit will definitely not be your last. 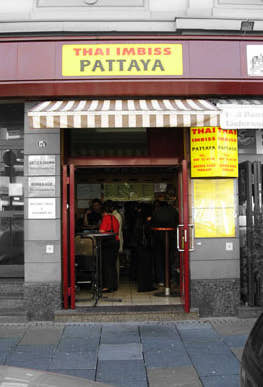 If you’re looking for authentic Thai street food, Thong Thai near Frankfurt’s Fressgasse is the place to go: fresh, high-quality Thai eats are whipped up here in double-quick time, yet with loving attention to detail. And it comes at an affordable price, too. Meyer Feinkost is something of an institution on Fressgass, Frankfurt’s eat street. 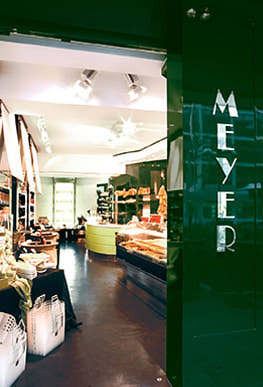 A slice of foodie heaven since 1948, Meyer offers 100 sorts of salad, plus a wide selection of meats and sausages, pates, pasta, jams, wine, sauces, oils and other delicatessen treats. 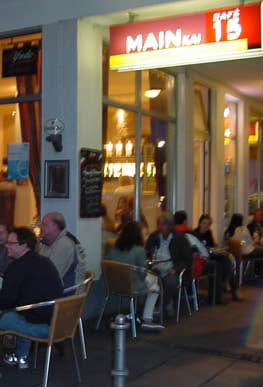 Fressgass literally means eat street, and the name says it all: this strip in the heart of Frankfurt is lined with purveyors of all sorts of food. Once known as the “belly of Frankfurt’s Westend district,” this is still the place to go when you’re hungry: butchers, bakers and patisseries are interspersed with regional, Chinese, Spanish, French and Italian restaurants. There’s a distinct Southern European influence to the food at Bar Celona, near Frankfurt’s high street Zeil. The warm atmosphere of this cafe adds to the Mediterranean feeling. This is where Frankfurt meets Barcelona, Versailles and Verona. Frankfurt’s rich and beautiful come to Café Walden for the extensive breakfast menu, the low-key fusion food at lunch and coffee and cake in the afternoon. The terrace, which catches the sun all day, is especially popular. 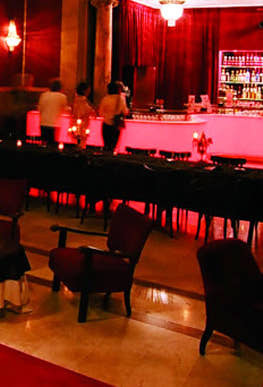 Oscar’s at the Steigenberger Frankfurter Hof hotel is a firm favourite with Frankfurt’s in-crowd. The atmosphere is laid-back and friendly, and the snacks and daily specials are innovative and based on regional produce. 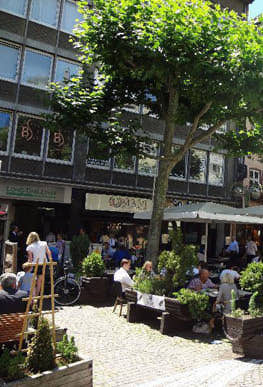 The outdoor seating areas on Ehrenhof and Kaiserplatz — two of the most inviting terraces in Frankfurt — are perfect for enjoying fine food and fine weather. 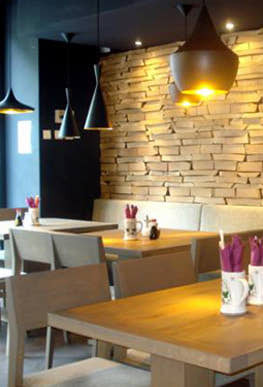 This restaurant, a member of the Coa chain, promises feelgoodfood: its ambitious aim is to serve up the best of East Asian cooking, with top quality ingredients and original presentation. So why not take up your chopsticks and find out if they’re as good as their word? Michael Frank is truly dedicated. At his café Table in the Schirn art gallery, everything that lands on your plate is organic, and it all comes from the local Rhine-Main region. But that’s not to imply that the fare is earthy or provincial. Table is stylish, elegant, and worth going out of your way for, even if you’re not visiting the art gallery. 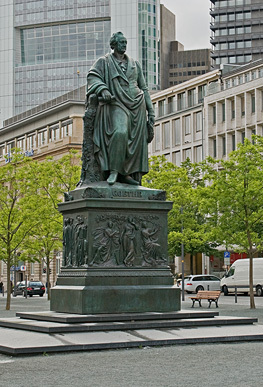 Hauptwache is arguably the heart of Frankfurt: this square is always pulsing with life. Adjacent Zeil is the city’s high street and number one shopping destination — boasting an impressive line-up of department stores, shopping centres, boutiques, electronics stores, cafés and restaurants. Bring your credit card — preferably gold or platinum — if you’re planning a shopping spree in this part of town. Frankfurt’s Goethestrasse and Goetheplatz are dripping with designer labels. You could start with a glittering necklace by Bulgari, then pop into Chanel for an elegant suit, and team it up with a handbag from Louis Vuitton. Mont Blanc offers the perfect accoutrement for signing those bills. And after all that exhausting activity, you could recharge your batteries with an espresso in the swish surrounds of the Nespresso cafe. 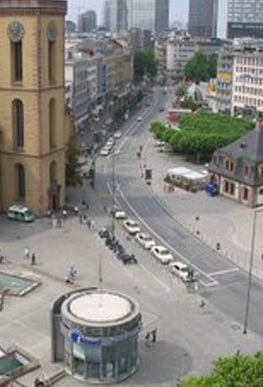 Kaiserstrasse, which connects Rossmarkt with Frankfurt’s Central Station (Hauptbahnhof), is one of the city’s main thoroughfares. After the Second World War, it was part of the red light district — but over the last decade, a cluster of top eateries and high-end shops has sprung up along this bustling street. 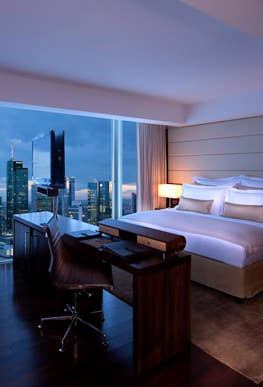 Well-heeled visitors seeking a five-star hotel in Frankfurt are spoilt for choice. Jumeirah, which boasts the city’s largest suites, is among the most luxurious options. Its in-house Talise Spa offers relaxation and wellness in an exclusive environment, while the Max on One restaurant is sure to please discerning palates. 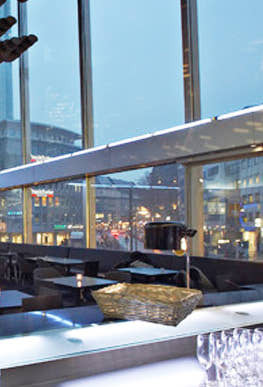 Innside by MELIA Eurotheum Frankfurt is one of the top hotels in town, and it has the certifications to prove it. 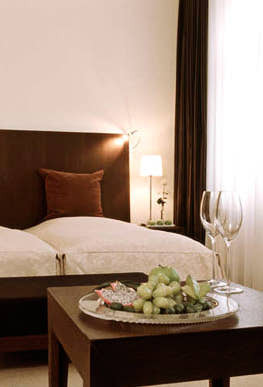 The hotel’s 74 suites are visionary in their design, offering a choice of five different interior decoration styles. No wonder that this hotel was nominated one of the country’s best by German magazines ELLE City and Feinschmecker. 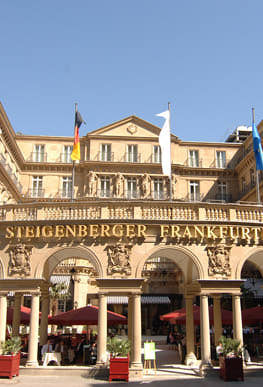 Included on the list of 100 best hotels in the world, the venerable Steigenberger Frankfurter Hof hotel is frequented by Frankfurt’s high society. It seamlessly blends 19th century grandeur with modern luxury, creating a peaceful haven in the middle of the bustling city. But this is not just a place to relax — more substantial pleasures await at the gourmet restaurant Français and the Cigarrum cigar lounge. 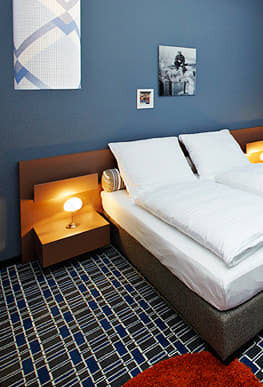 The Adina Apartment Hotel Frankfurt Neue Oper has some of Frankfurt’s key historic buildings as its nearest neighbours: Römer, Paulskirche, Goethe-Haus and Museumsufer are all just a few minutes’ walk away. But it’s not all about culture — the multitude of shopping opportunities on Frankfurt’s high street, Zeil, are equally within reach. Afterwards you can relax in the comfort of your own well-equipped apartment at Adina, which feels like a home away from home. “A perfect symbiosis of architecture, style and luxury”, is how the Le Méridien Parkhotel Frankfurt fittingly describes itself. 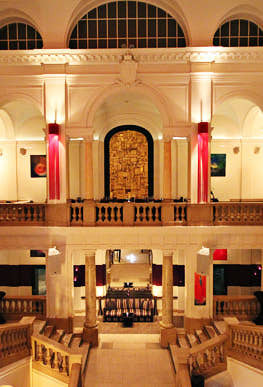 Its 300 rooms are spread across a palatial historic building constructed in 1905 and a contemporary business wing. 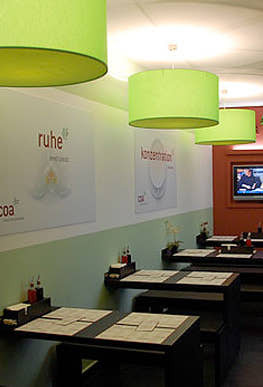 What’s more, it’s within walking distance of Frankfurt Central Station. 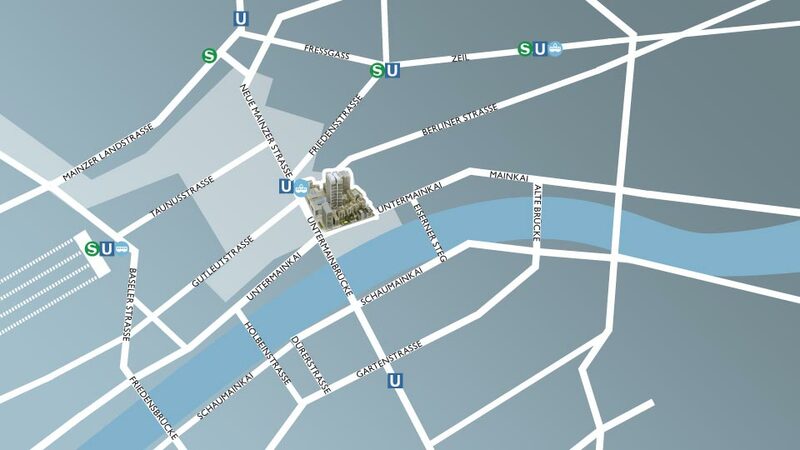 The InterContinental occupies a prime position on the riverbank, with views of Museumsufer, the line-up of museums on the opposite shore of the Main. 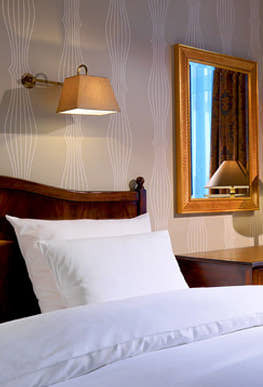 Perfect for business travellers and holiday-makers, the hotel is conveniently close to the city’s main tourist attractions and cultural highlights. 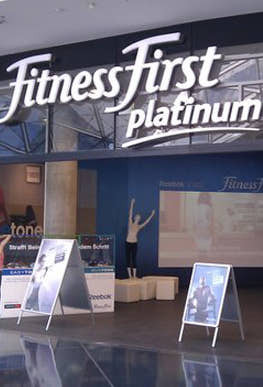 Platinum Club, the upmarket offshoot of the FitnessFirst gym chain, offers luxury facilities at four locations in Frankfurt, from Zeil to Kaiserstrasse. These top-notch gyms boast an impressive array of state-of-the-art strength training and cardio equipment, and a wide range of courses from AquaFit to BodyCombat. After your workout, you can relax in the enormous spa area and pretend you are on holidays. Club legend Madjid Djamegaris teamed up with Söhne Mannheims GmbH to develop for Gibson’s philosophy and design. 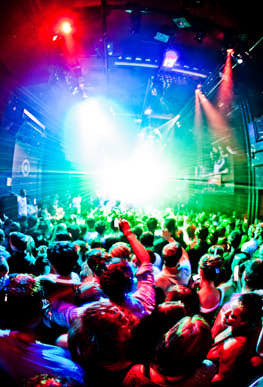 The club presents top-notch live music: singers, virtuosic musicians and DJs appear on stage every day of the week, from world-famous stars to up-and-coming talent. Living is easy down by the waterside. 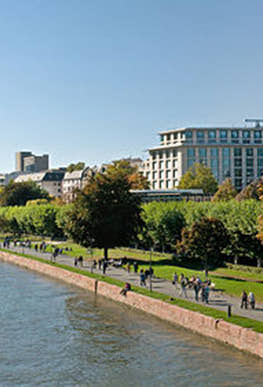 The banks of the River Main in Frankfurt have much to offer: museums, eateries, beautiful sunsets with views of the city skyline, and scenic spots for a picnic. Rather than dividing the city’s districts, the river binds them all together, presenting the metropolis from its most captivating aspect. Nizza? The well-informed might know that Germans use the Italian name for the French city of Nice. 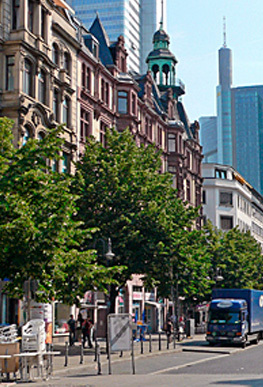 But when residents of Frankfurt suggest meeting there, they don’t intend to head to the Riviera. Instead, they’re referring to a park located on the shores of the River Main, which owes its name to the area’s balmy microclimate. The park is a popular place to jog, stroll, or simply unwind. 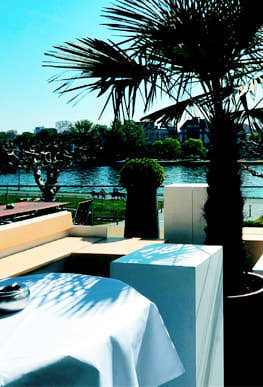 Strand means shoreline in German, and true to its name, the MainStrand bar is located on the banks of the River Main, offering a spectacular view of Frankfurt’s skyline. On a fine day, the bar is packed with people keen to enjoy the rays of the setting sun while they sip their cocktails. The building dubbed Tortenstück or “piece of cake” by Frankfurt’s residents houses one of the world’s leading museums of modern art. 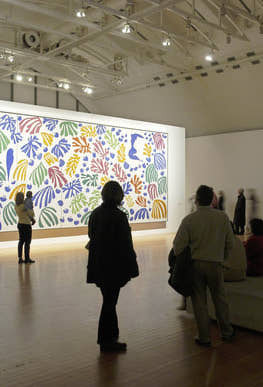 Its extensive collection, including works from the 1960s to the present day, plus temporary exhibitions showcasing trailblazing artists, have made MMK one of the city’s primary cultural attractions. 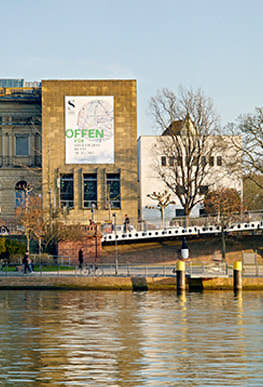 Expressionists, Dadaists, Surrealists and Impressionists have all visited the Schirn. Or at least their artworks have. 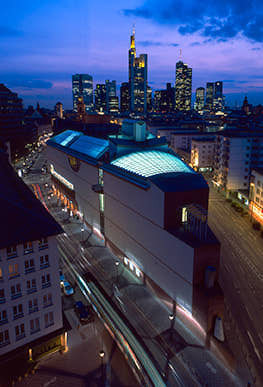 The Schirn is one of Germany’s leading art galleries and should be included on every Frankfurt visitor’s must-see list. 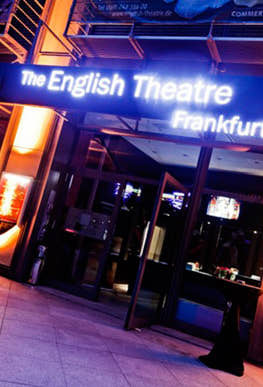 Founded in 1979, the English Theatre in Frankfurt is the second oldest and largest of its kind on the continent. Located in the heart of the financial district, the theatre is one of the city’s key cultural institutions. The repertoire ranges from the works of William Shakespeare to Peter Shaffer’s Equus. 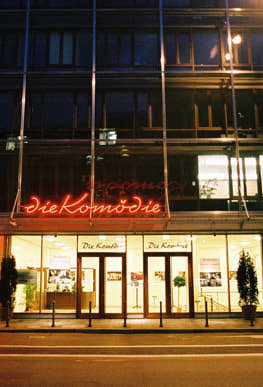 Since 1972, Die Komödie has staged crowd-pleasing comedies and musicals. Its motto is “Experience great performances — and laugh your heart out”. Well-known German actors regularly put in appearances, offering audiences a bit of joyous escapism, staged with wit and dedication. Who needs Broadway, when there’s the Schauspiel Frankfurt? Under the direction of Oliver Reese, this ensemble has garnered numerous accolades, winning the acclaim of critics and theatregoers season after season. 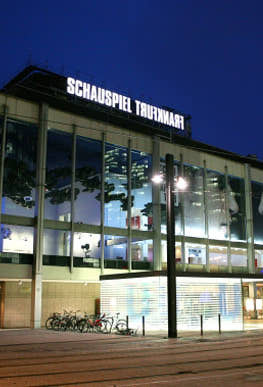 Its Schauspielhaus theatre has become a cultural hot spot on Willy-Brandt-Platz. The Städel Museum is something of an institution in Frankfurt. The historic building was donated to the city in 1815 as an institute for the arts. Today it houses around 2,900 paintings, plus scores of sculptures, photographs, prints and drawings, ranging from Old Masters to contemporary works. And those who are interested in architecture might like to take a closer look at the building’s renovations and extensions: the new underground exhibition space, designed by schneider+schumacher, has been well-received.